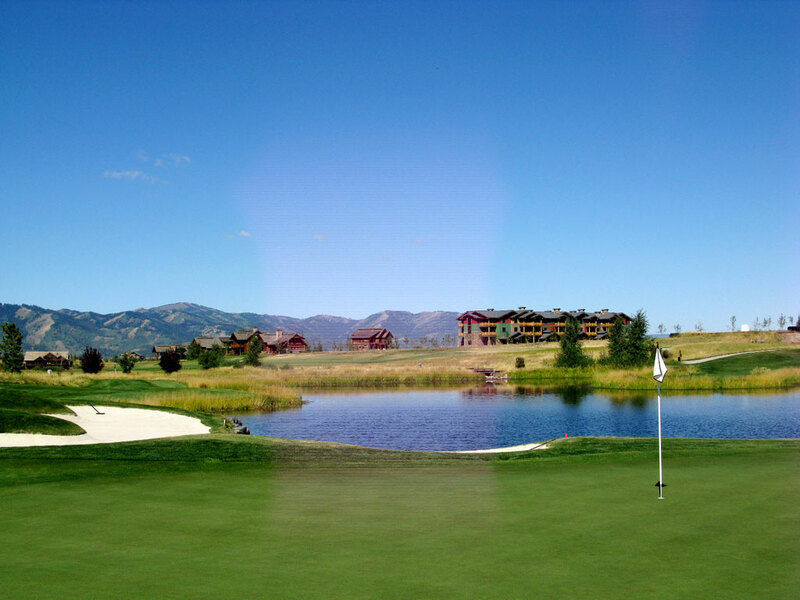 Course Website: Official Website - Visit Headwaters at Teton Springs's official website by clicking on the link provided. 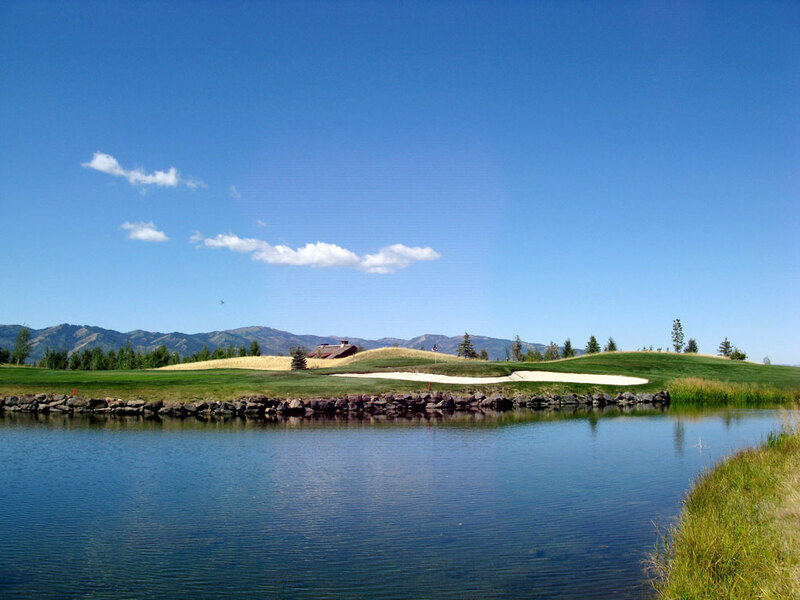 Accolades: Ranked 5th in Idaho on Golf Course Gurus' Best in State list. 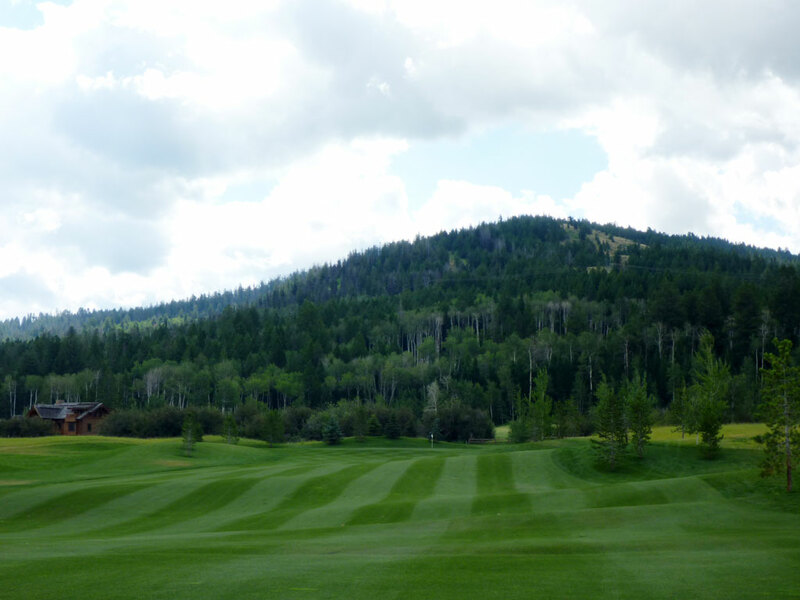 What to Expect: Headwaters is an immaculately conditioned course that rests next to Targhee National Forest and features water on the majority of holes. 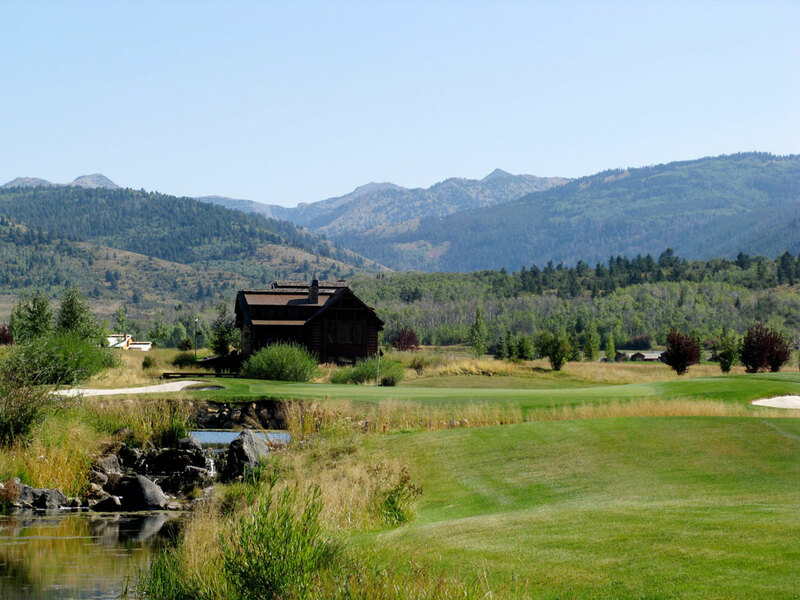 Located just 20 miles from famous Jackson Hole, the Teton Springs development is a beautiful property that boasts the world's best outdoor activities: Skiing, biking, hiking, fishing, and of course golfing. 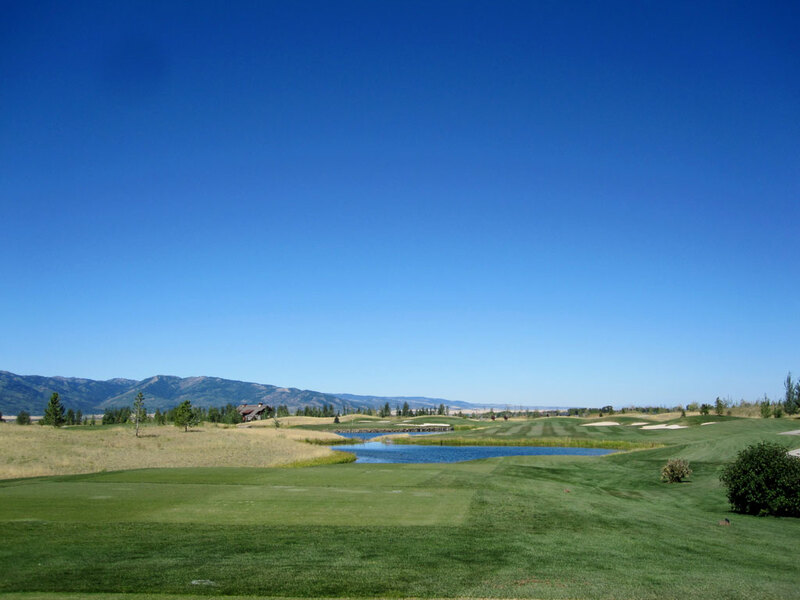 In addition to the 18 hole championship length course, Headwaters features a nine hole par-3 course that kids can enjoy or players can warm up on. 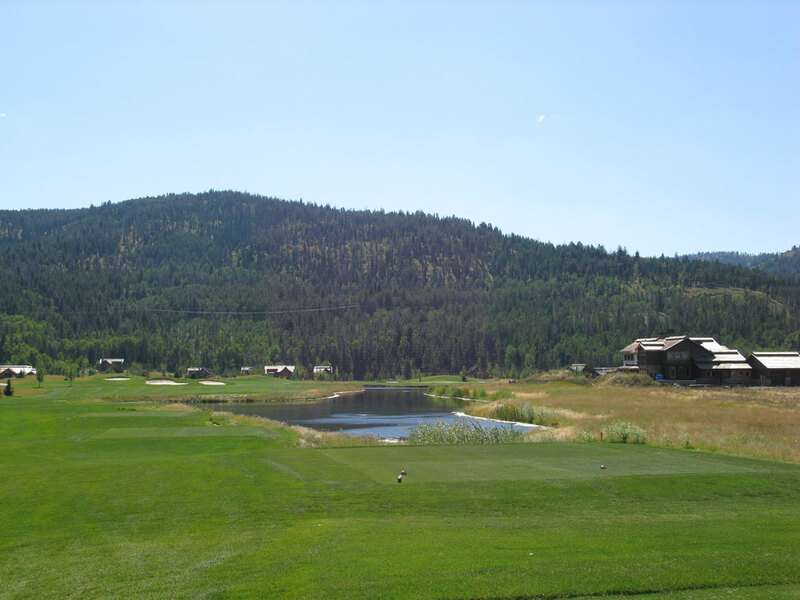 The course is more challenging than the 73.3/134 rating/slope it has been assigned due to the four two-shotters over 480 yards, two par fives over 600 yards, and trouble every direction you look. 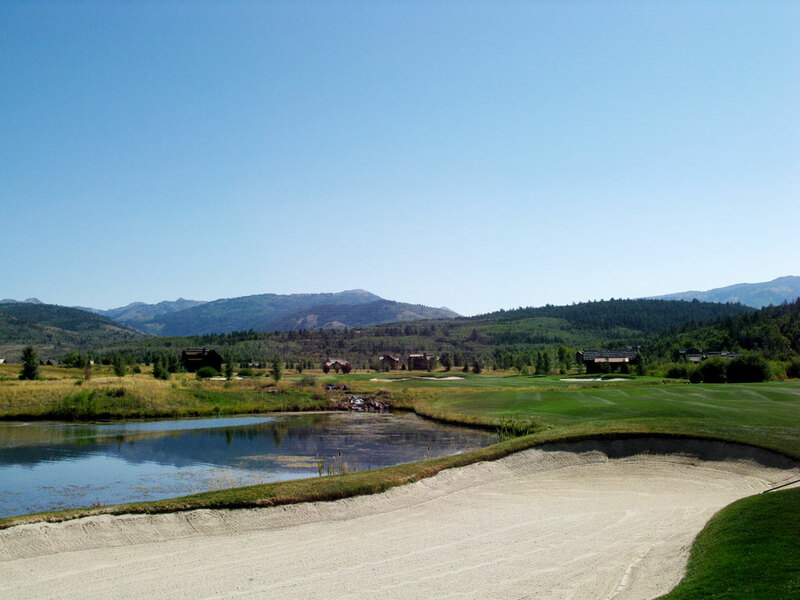 Headwaters delivers a fantastic course that everyone is sure to appreciate. 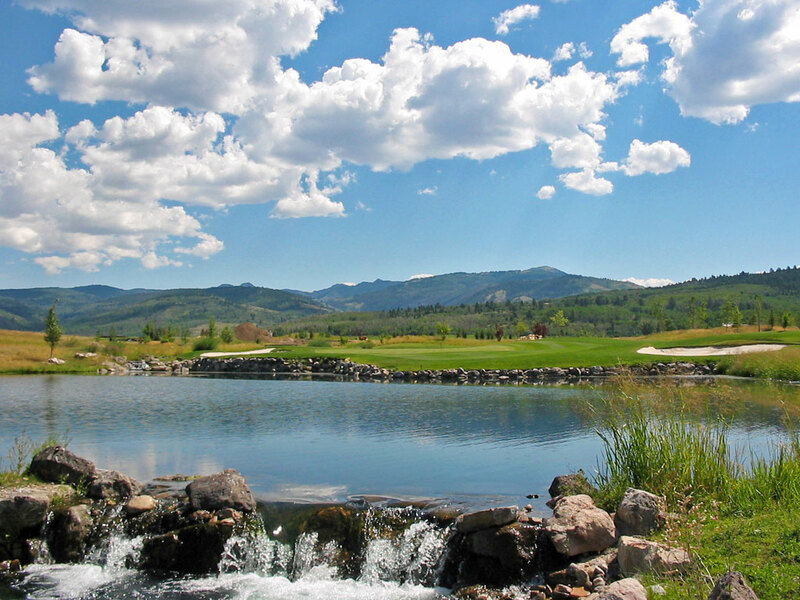 Signature Hole: 10th Hole – 169 Yard Par 3 – With water coming into play on 14 of the 18 holes at Headwaters it is easy to find beauty and fear while playing, but no hole is prettier or more intimidating than the signature 10th. 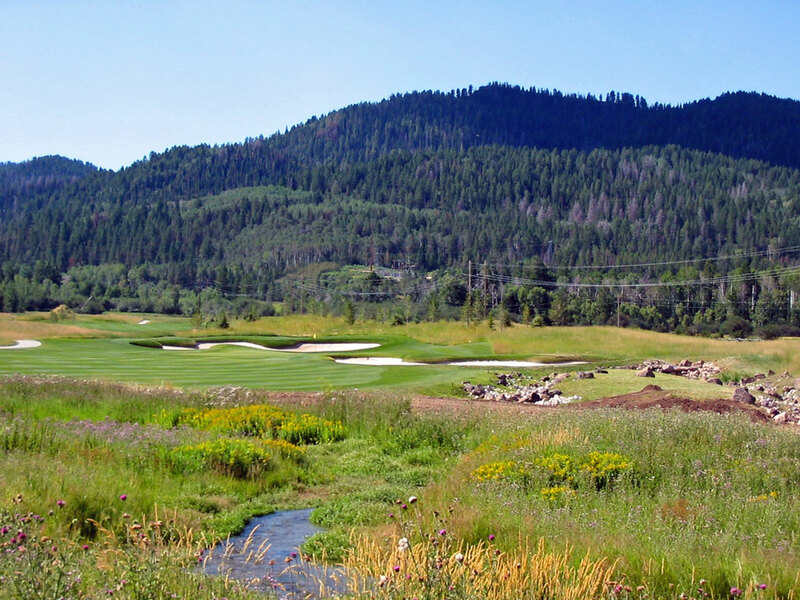 Targhee National Forest acts as the background of this hole that features a peninsula green where long and right are the only options for safety outside the putting surface or one of the surrounding bunkers. The hole is stunningly beautiful and a challenge you'll want to play again and again. 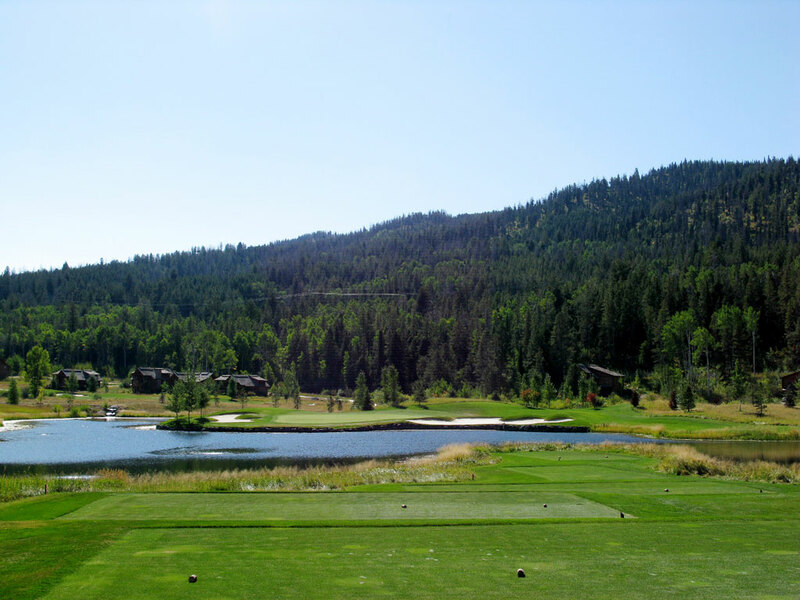 Best Par 3: 7th Hole – 246 Yards – When the wind is howling out of Pole Canyon, this hole can be flat out brutal and you'll probably need to bust out your driver just to have a chance to reach the green. 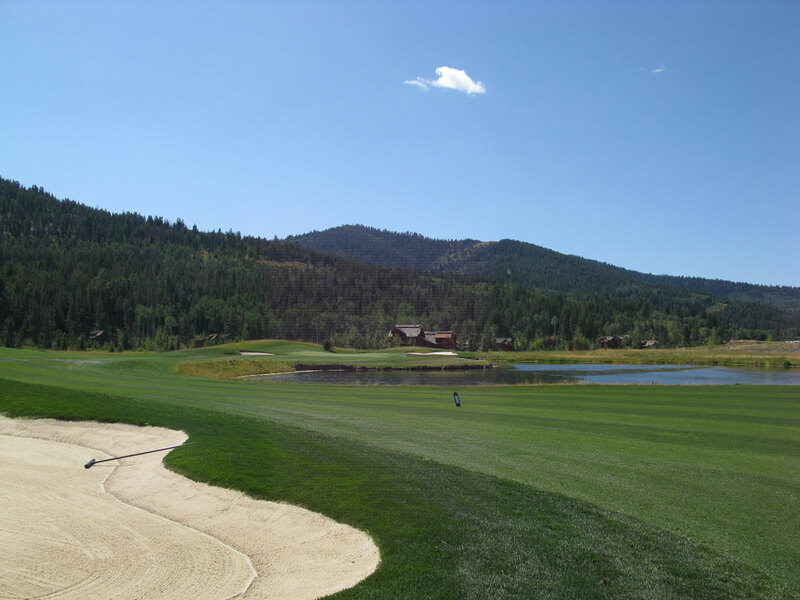 In addition, all hazards come into play on this hole with Warm Creek and a pond sinking off center hits and two expansive bunkers consuming the areas in front and behind the green. Plenty of room is offered short and left if you decide to layup on this fantastic par 3, but will your ego really let you do that? Best Par 4: 18th Hole – 488 Yards – Legendary golf architect George C. Thomas (designer of Riviera, L.A.C.C., etc.) felt that the best way to finish a course in tournament play was for the final hole to be a strong par four. The boys at Headwaters followed Mr. Thomas' advice by installing this 488 yard finisher that strikes fear into golfers with a lake framing the entire right side of the hole. After taking aim at the bunkers up the left side of the fairway, the golfer is faced with an intimidating long-iron approach shot that must carry the rock support wall that holds the green from falling into the water. Best Par 5: 9th Hole – 544 Yards – To enjoy the beauty of the 9th hole, you've got to get past the beast of a forced carry the tee shot requires. 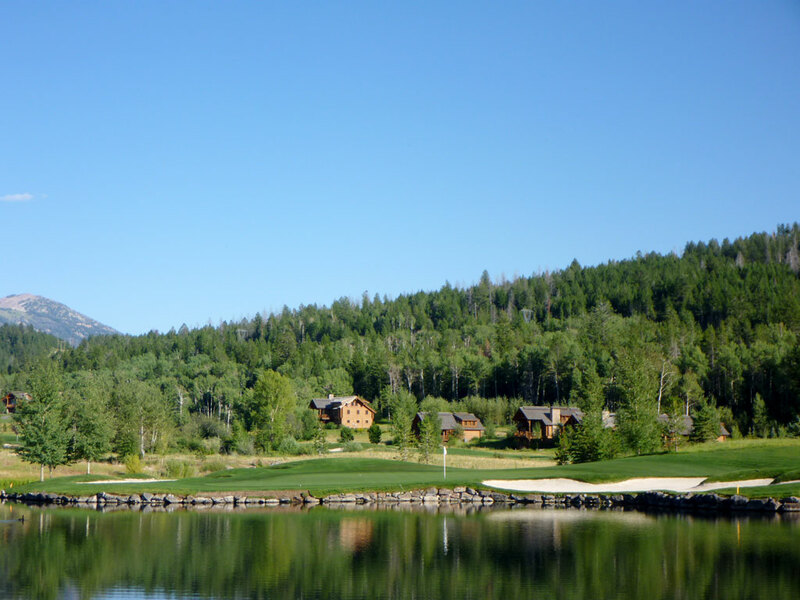 Once you bust your drive over Warm Creek, you are presented with the beauty of Targhee National Forest on your right and a series of lakes waterfalling down the left. The bold play of going for the green in two will require a precise shot to a green that is surrounded on three sides by water and is protected by three bunkers. Birdie Time: 15th Hole – 301 Yard Par 4 – With the front nine sporting two par fours over 500 yards, golfers will be excited about the opportunity to take on this 300 yarder and try to make up for some lost strokes. 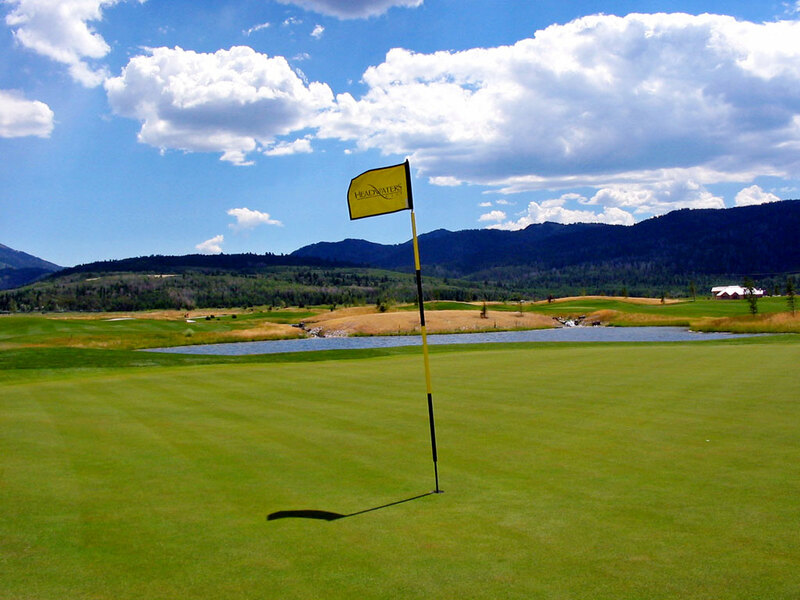 The bold play is to aim at the flag and carry your tee shot about 270 yards over water so that your ball will hop up on the green and allow for an eagle putt. The conservative play is an iron shot up the fairway on the right before hitting a short approach shot back over the water in hopes of one-putting your way to a birdie. 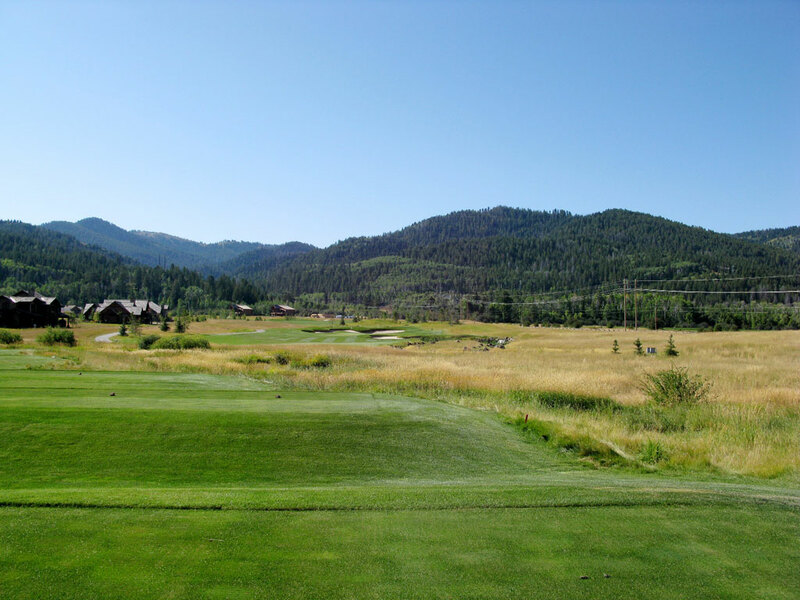 Bogey Beware: 8th Hole – 517 Yard Par 4 – 517 yards is plenty long for a par four, but add into the equation that the hole plays uphill and into the prevailing wind and you have one of the most difficult holes you will ever face. The hole doesn't feature a single bunker and the fairway width is generous, but two extremely well struck shots are required to reach this green and have a legitimate chance at par. The green is built on a slope which makes getting up and down from either side of the green a difficult proposition. Good luck!